Much of what we love about music are things we hear that the composer wrote in the score; directions that the performer followed. Other great things about music we hear are elements that cannot be written down, but are made part of the performance and the musical surface which we as listeners interpret and enjoy. This post reminds us of how important both of these are–that going beyond the pitches and rhythms is when music really gets good. 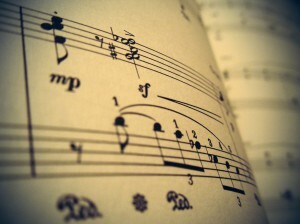 Most of the time when we think about memorising music, we think about learning the notes. This is perfectly natural of course – without the notes, of which there can be a great many, there would be no music, no melody, no harmony. However, getting the notes right is only part of the story, and how the notes are played is just as important. Dynamics, tempo, attack, articulation, phrasing, voicing – these extra notations are crucial to making music and can change a mediocre rendition into a brilliantly insightful interpretation. However, memorising these markings can be just as big a task as learning the notes.